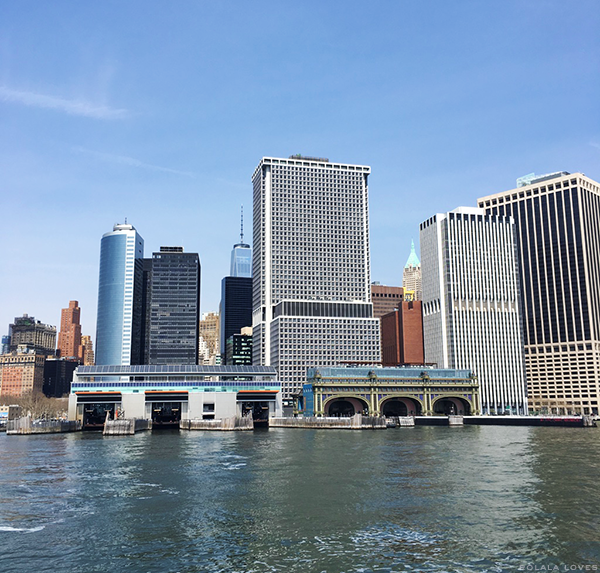 I've been a New York City resident my entire my life and I never tire of the city because I feel like there are always new things to discover about it and new ways to enjoy it. 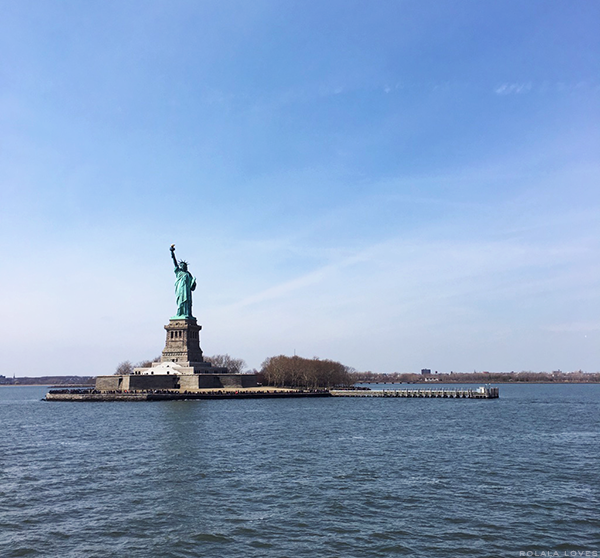 Hornblower Cruises invited to me join them on an Easter Sunday champagne brunch cruise that sails around lower Manhattan and offers views of the Statue of Liberty, Ellis Island, Governors Island, the Brooklyn Bridge and NYC’s iconic skyline. 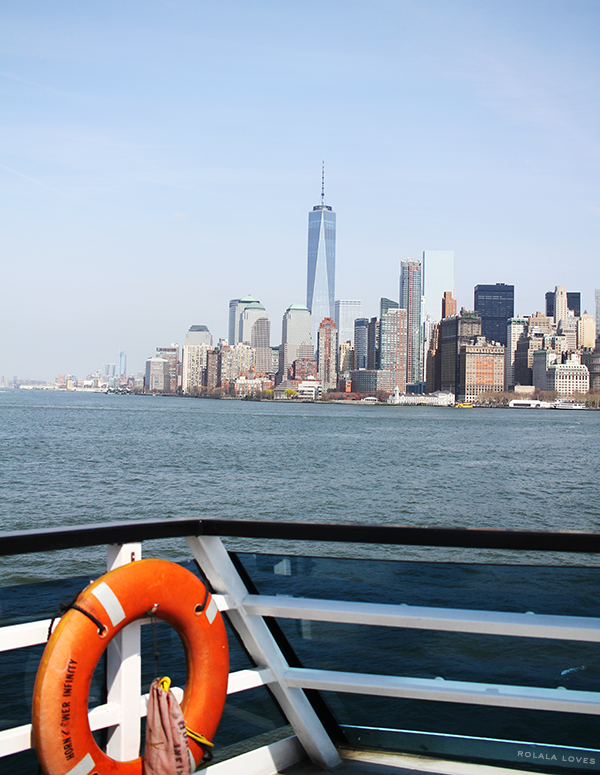 The cruise which departed from Pier 40 at Hudson River Park offers reserved seating. 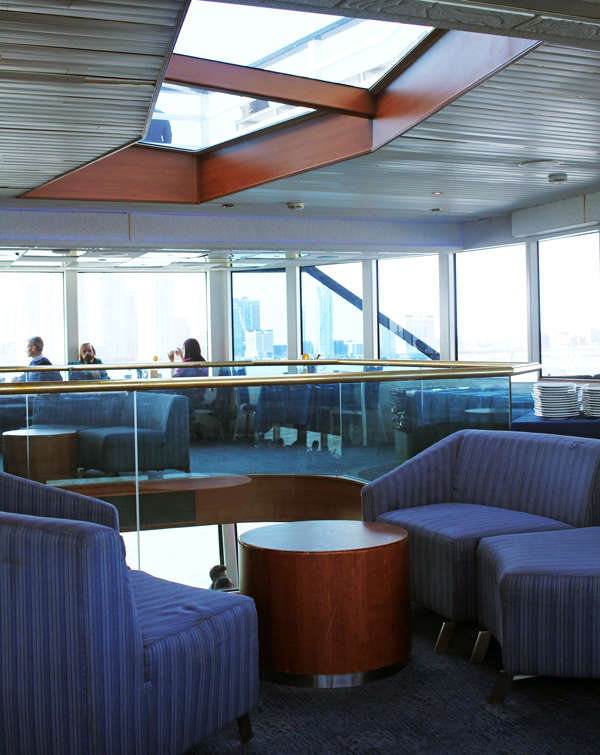 We were shown to our table on the upper deck as soon as we were welcomed aboard. 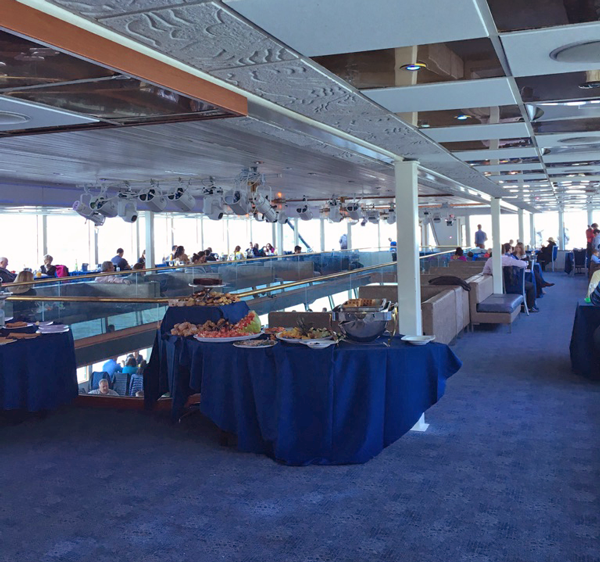 We noticed that the level we were on was for small parties and the large ones were on the lower deck which was nice. The seating was comfortable and well spaced out. Our waiter Melvin came by to introduce himself and told us that he would return shortly to uncork our champagne. 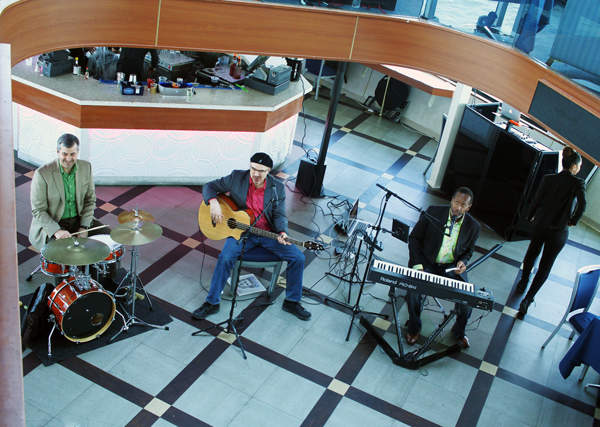 There was entertainment provided by a live band and DJ. We were lucky that it was a gorgeous day but not particularly warm and I appreciated that the temperature was very well regulated within the interior areas of the yacht. 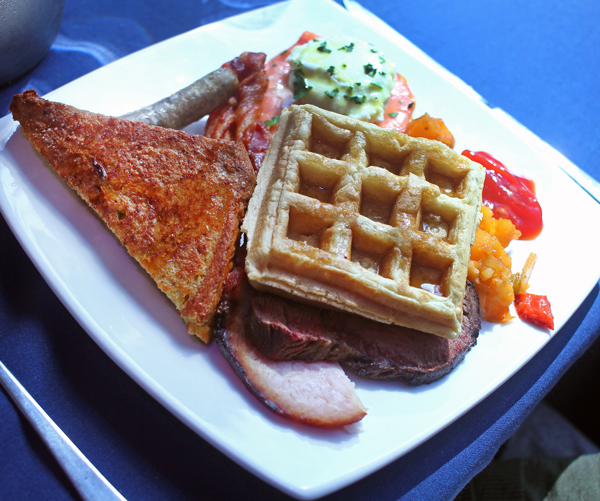 We were told that we could go check out the brunch buffet. There were a number of both hot and cold options as well as a bounty of desserts including a chocolate fountain. We did not partake in that but it looked fun. 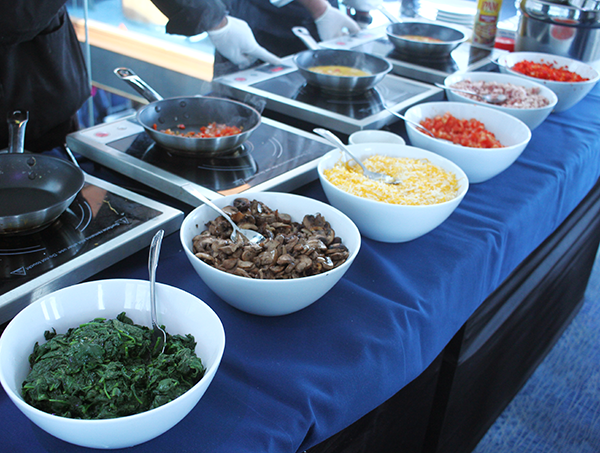 The omelette station was more our speed and we did check that out. 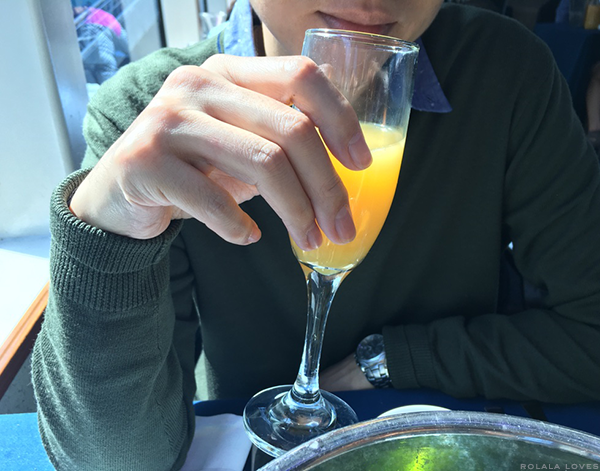 After Melvin opened our champagne, we decided to let loose and enjoy some mimosas with our food. I had one and switched to tea. Alcohol is really wasted on me. 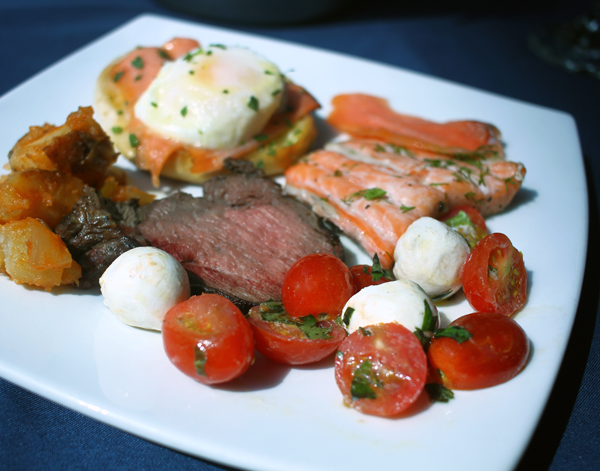 Buffets are great since you can choose exactly what you want. I'll let you guess which plate is mine but I will mention that I have absolutely no fondness for breakfast food whatsoever. The food was pretty standard. Nothing really stood out yet nothing was terrible. This cake looked better than it tasted. After we finished eating, we headed out onto the deck to take in some of the marvelous views of the city. The cruise was at a very leisurely pace so it was very smooth. 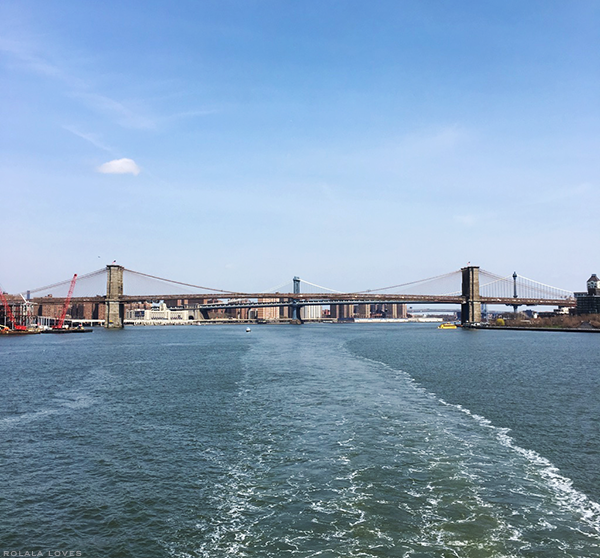 The route went south on the Hudson River and circled around the lower tip of Manhattan up to the Brooklyn Bridge. We were a little tickled that we could actually spot our apartment building at one point. The best vantage point was definitely from the sky deck. Hornblower also offers dinner cruises and I imagine it would be a really nice way to view the sunset. From the Brooklyn Bridge, we traveled over to the Statue of Liberty and Ellis Island where the yacht stopped so people could enjoy and take photos. The entire cruise lasted for two hours. It was both a leisurely and entertaining experience and a fun way to see the city. I see this being enjoyable for both NY locals and tourists alike and would be a unique way to celebrate special occasions. 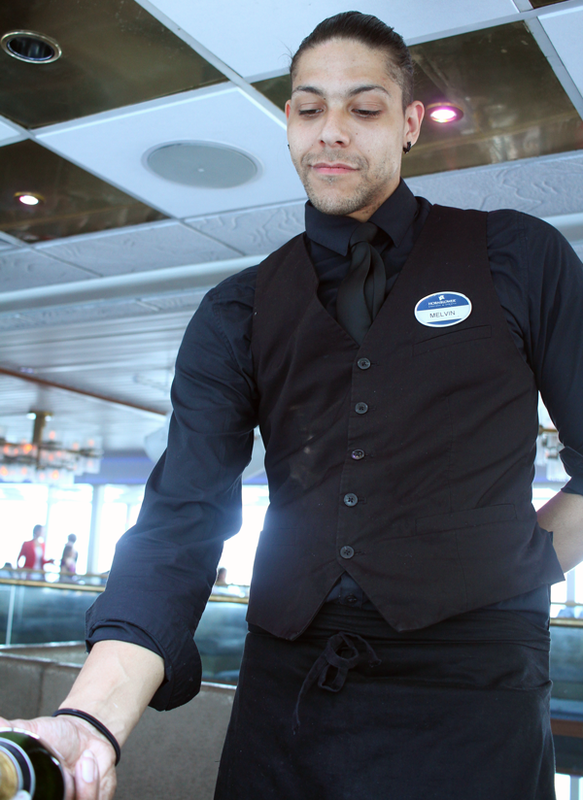 The typical cost starts at $80/per person and varies depending on the type of cruise. 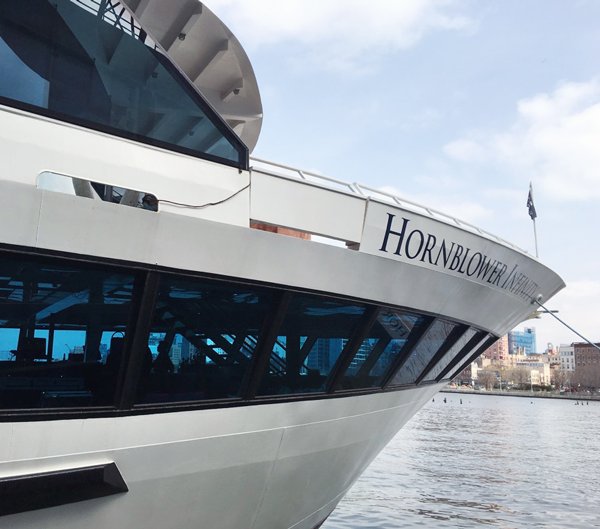 Hornblower also operates happy hour and nighttime entertainment cruises, as well as daily New York sightseeing tours. They also do private events. To learn more, visit their website. Do you have anything like this where you live? Disclosure: Complimentary tickets were provided to me for this experience. There was no other compensation and all words and opinions are my own. Oh wow! What a great experience! The food is yummy too. What a fun way to see the city! I have previously taken boats to Ellis Island, Staten Island and Governors Island but they were simple ferries and not as luxurious as this one! 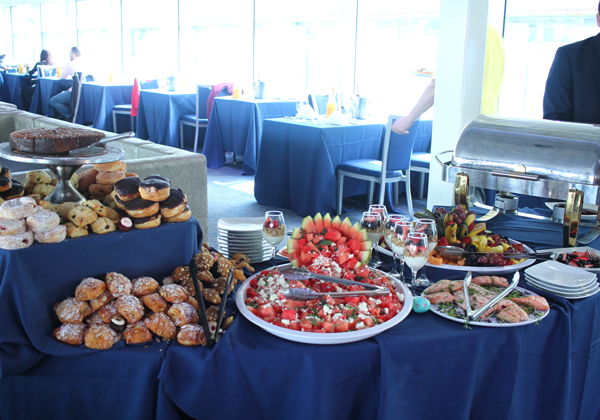 The buffet looks great and as I can see you were also super lucky with the sunny weather. It must have been a great experience. What a wonderful experience! 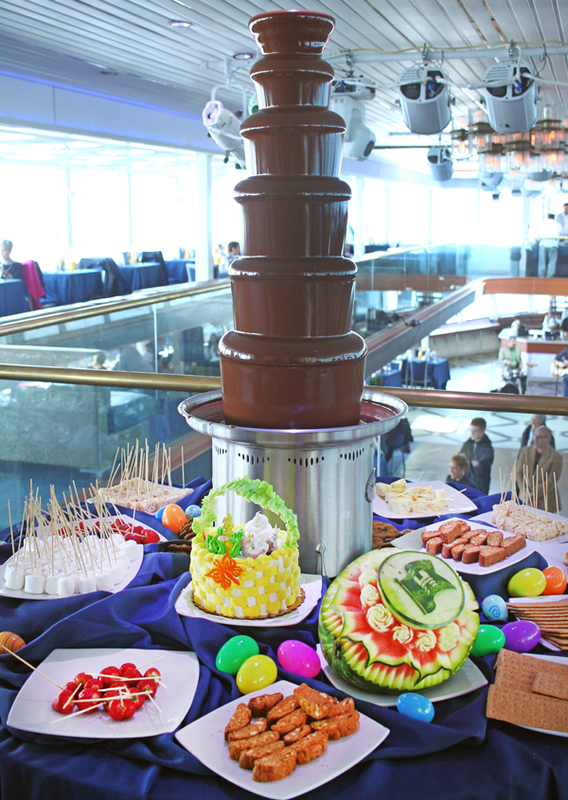 I'm swooning over that delicious lunchtime dessert table - a chocolate fountain during the day? Yes please! What an awesome experience with amazing views and outstanding food. i've always wanted to do that in NYC! i'm not a breakfast food fan either, but i don't like eggs, so that's a big part of it. Ooooooh a fun boat ride AND awesome food, this is just perfect! Wow, that brunch cruise sounds amazing!!!! 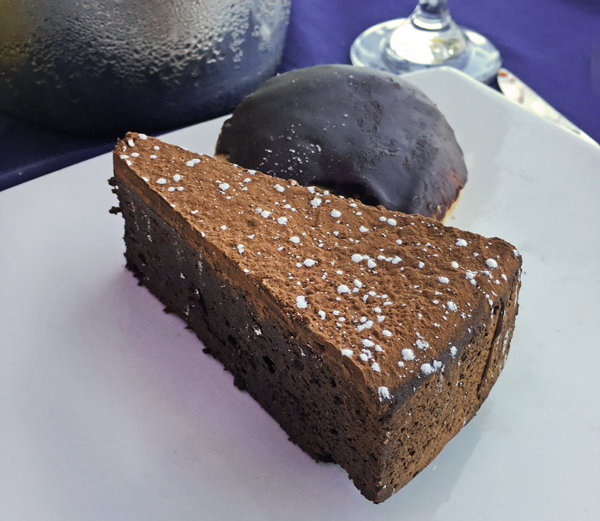 Champagne and a chocolate foundation? I would be all over that. I for one am a big fan of breakfast foods. I'm not sure if we have anything like this around here, maybe there is but in the bigger cities. Definitely an interesting experience though and would make a great option to celebrate a special occasion. Thanks for sharing with us all those beautiful snaps from NY. Hope I get to visit this city in the near future. I've had a similar cruise experience once in UK and I enjoyed it. Nice buffet as well. Have a nice week Rowena! I would love to do something like this! We did a cruise of Cyprus when we were there in September but the boat was much smaller. Some of the people I was with felt sea sick so it wasnt fun for them! Forever jealous of your NY life! Rowena, that was really nice! I didn't know you were originally from New York! That is so awesome! NY seems like it recreates itself ever so many months. There's always something new. I hope to visit one day. The sights on the route looked absolutely beautiful! You captured it so well. What a lovely day and thanks for sharing your experience with us. Gorgeous! what spectacular views-I'm sure I would enjoy this cruise! 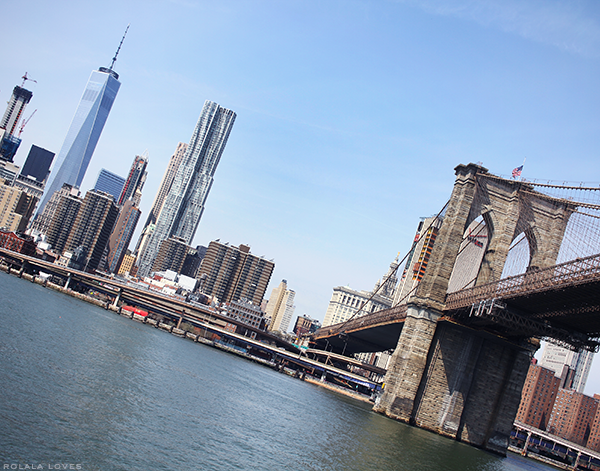 NY is a special city, there is so much to see, it is really such a melting pot..I hope to visit it some day. I can understand what you say when you say you could never get tired of this city (even if I have never been there). 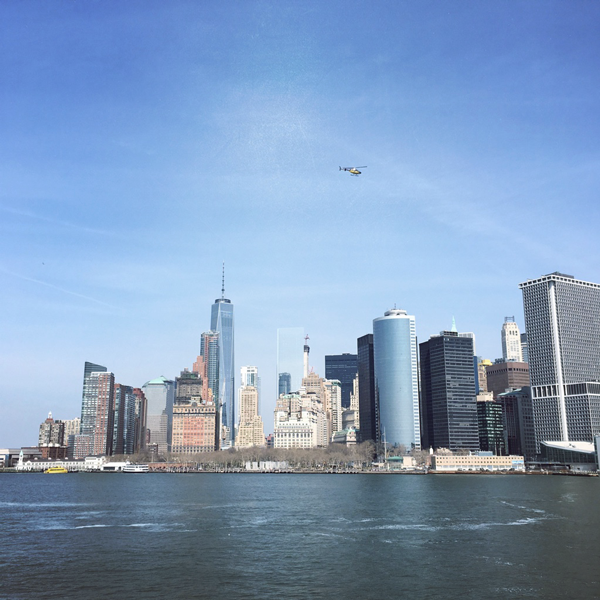 Besides being the city that never sleeps, NY has a lot to offer...and our hometown always has a special place in our heart, right? I've heard about these cruises in NYC but for whatever reason never thought to take one. I just love your photos Rowena and I think I will take one. Why not just live it up on the water. Beautiful post. Oh wow lucky you! When I have friends in town in the summer I take them on the ferry to DUMBO such WONDERFUL views. This looks like a lovely way to see downtown. I've never gone on one of the cruises either, but this looks fun! I went on one of their night cruises and it was amazing! Oh, this looks amazing!! Love the photos! Wow great experience!!!! Nice photos!!! Wow what an incredible view. And the food looks delicious. Wow this is massive! Totally love the spread. I'm thinking about doing a cruise at the end of this month.